Relationships: Social media’s strength is in the personal connections it enables, the peer-to-peer contact, providing reasons for consumers to visit regularly and for extended periods of time. Relevance: Consumers are extremely engaged with the content and connections that their friends are creating because of its personal relevance. Is it a case of teaching new tricks (social) to an old dog (ads) or do we need a new dog? 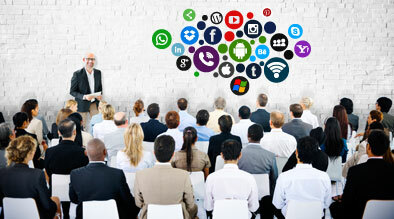 How can you leverage social media to make your ads go viral? What are some of the best practices and examples of social ads? Is social media just another channel or will it fundamentally disrupt the ad market and create new opportunities? For more event information, or to register, click here.